Over the past few years I've had varying degrees of success in sewing up a birthday make for the kidlet. Sometimes I'm late (2012), sometimes I'm early (2013), sometimes I'm slooow (2010, but really it should've been 2008) and, judging by the blogging archives that were 2011, sometimes I sew nothing at all. The pattern I chose to make for E's 10th birthday was Simplicity 7355 (1976). I bought it about three years ago at The Fabric Cave and loved it because it was basically a junior version of this awesome vintage Butterick dress that Colette made back in 2010. 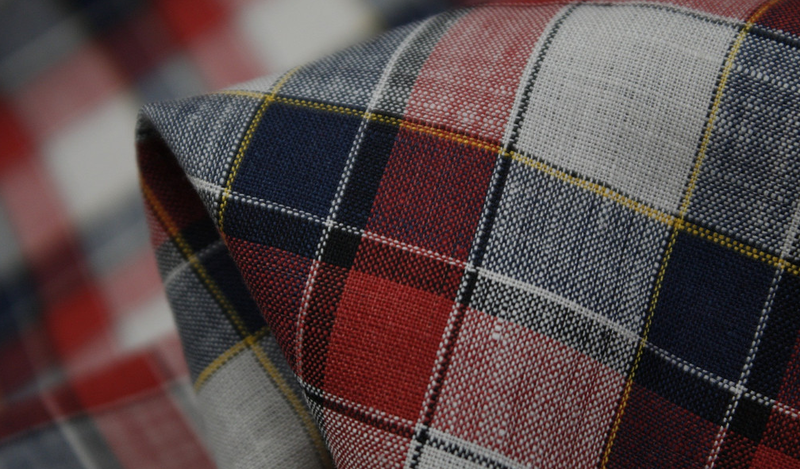 The fabric I chose was Heart on Sleeve - one of our lovely new enzyme-washed checked linens. With fabric and pattern choices out of the way, the next step was to decide on whether to make the dress or top. I put that conundrum to the good people of Instagram and some clever followers suggested a tunic. At this active age and stage, E's not so much into dresses anymore (*sniff*) so that seemed like the perfect and practical medium between the two options. I added just over 3" to the length of the top version and decided against adding pockets. I'm not going to lie - there was some painstaking pattern matching that went into this one. Because right/wrong face is indistinguishable on this fabric, I found the easiest way to do this was to cut one of each pattern piece. I then lay that on top of the remaining fabric with some extreme pinning to match it up precisely, and then cut my second piece around this. Totally worth the time and effort, no? I had an inkling the sizing was going to run a bit large and, as it turns out, it was a LOT large. But herein lies the beauty of sewing for kids - assuming it's not too small, they can grow into it! Sure it'll take a few (maybe more) years but this style isn't going to date and she'll get there, one day. Once I'd pushed aside the initial disappointment that was the oversized-ness, I tried it on myself and WHAT D'YOU KNOW, it was a freakin' perfect fit! Just like that I found my silver lining for that sewing cloud. I love this style. It's blouse-y and light and I'm going to wear it all over, in and around summer, I know it. 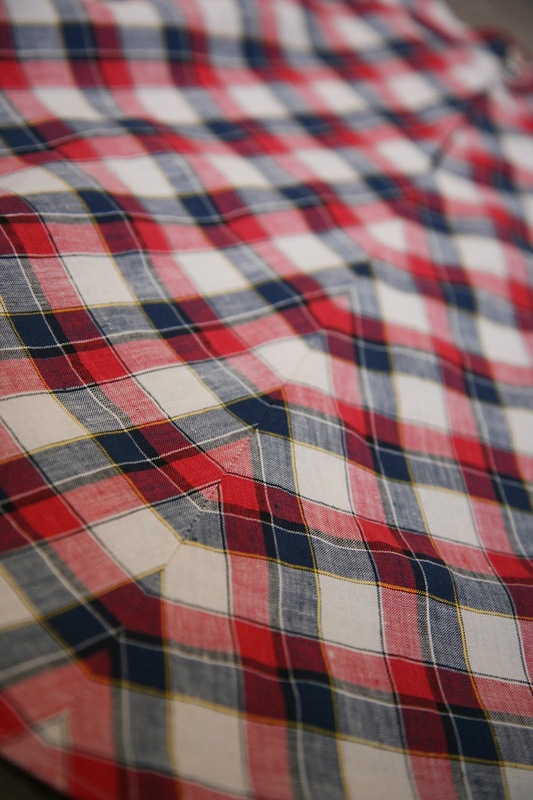 I particularly love the way the back falls out, and the design is accentuated perfectly by the lines of the checks. I took a little extra off the length and now I have a strictly 'on loan' top that I have promised to mind and wear with love and care until the day comes when it actually fits E. And to assuage some of her disappointment, I whipped her up a mini Mandy Boat Tee (printed at 80% size) which she loves. 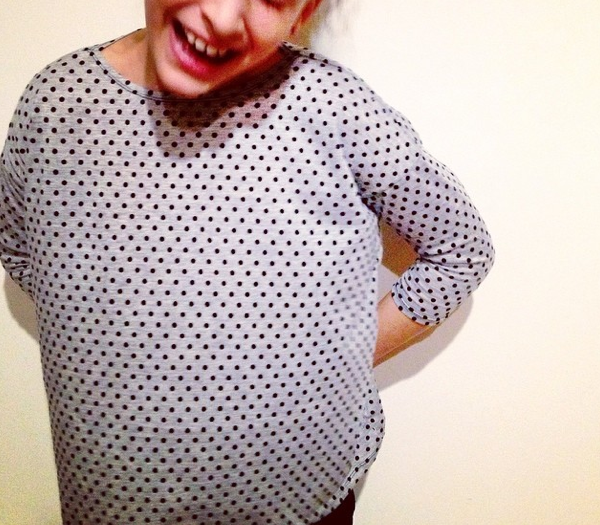 It's a perfect kids pattern because it has all the roominess and comfort that they want and need at that age. Let's call that a win:win shall we?